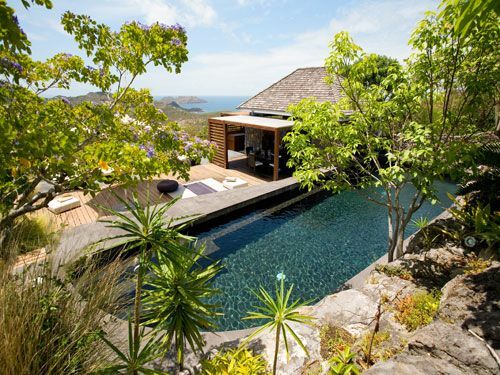 Located in St Barts – Lurin, a big property with a beautiful garden and sea view. 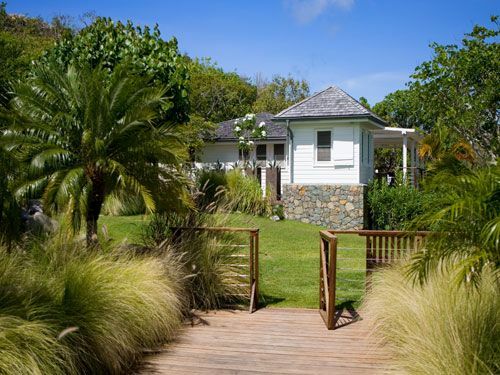 Villa MNLU reminds us the spirit of the caribbean villas with different cottages, here and there, in a nice tropical garden. 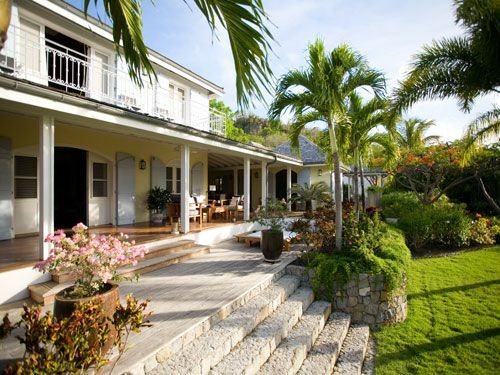 6 bedrooms, 6 bathrooms, a large living-room, a nice gourmet kitchen, covered terraces, sunny terraces, walking in garden, pool. 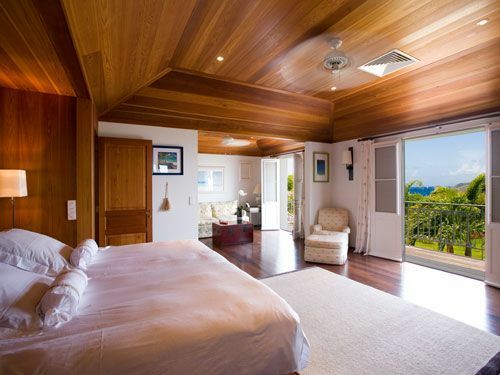 Each bedroom has its special ambiance. 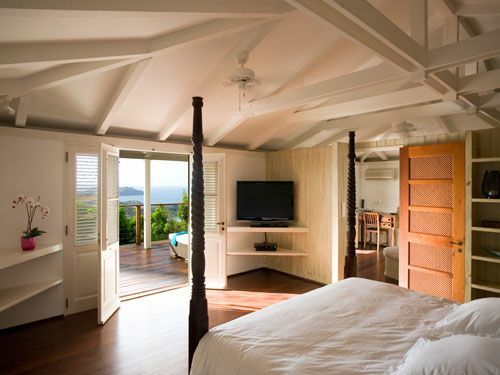 With a sea view or a garden view, a sunny terrace or a covered terrace, a little living-room or a kitchen, all of them are comfortable and very peaceful. 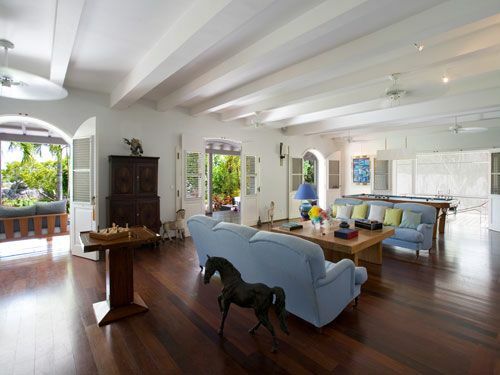 Huge and breezy living-room open onto the terrace and tropical garden surrounded by a nice veranda. Pool table, TV room with air-conditioning and fan, Large flat screen TV (US and French Satellite), DVD player, Wifi. 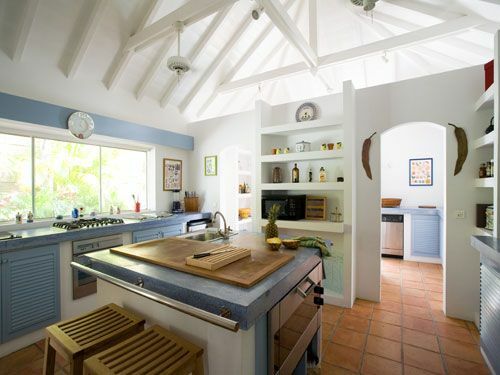 Large gourmet kitchen, Equipped for 18 persons. 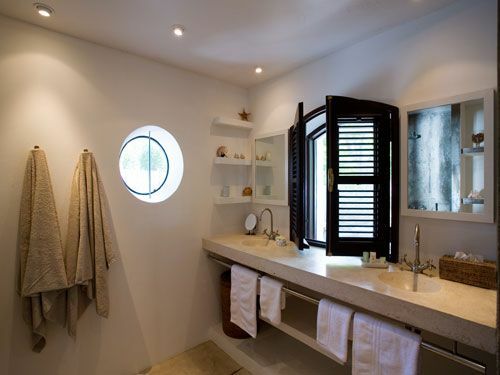 Ovens, Microwave, Toaster, Coffee machine, Espresso, Blender, Citrus fruits Squeezer, Cooled Wine cellar, Dishwasher. 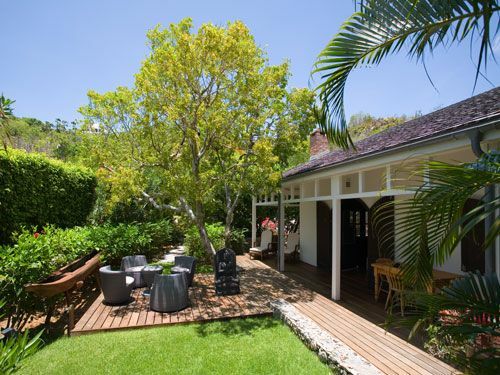 Beautiful property, large spaces, nice walking in tropical garden, several inside and ouside living-areas, privacy for each guest, nice heated pool and comfortable pool area. 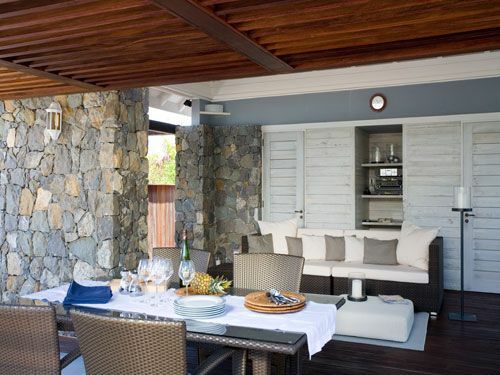 Pool house with kitchenette and bar. 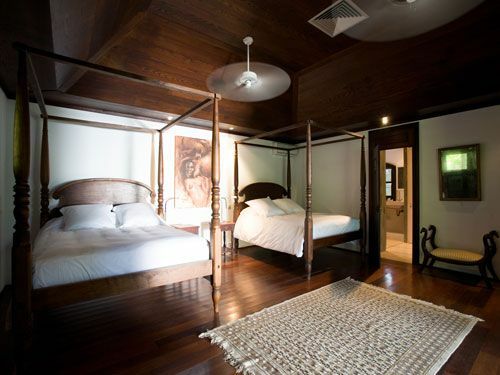 The bedrooms are located all around the beautiful tropical garden.